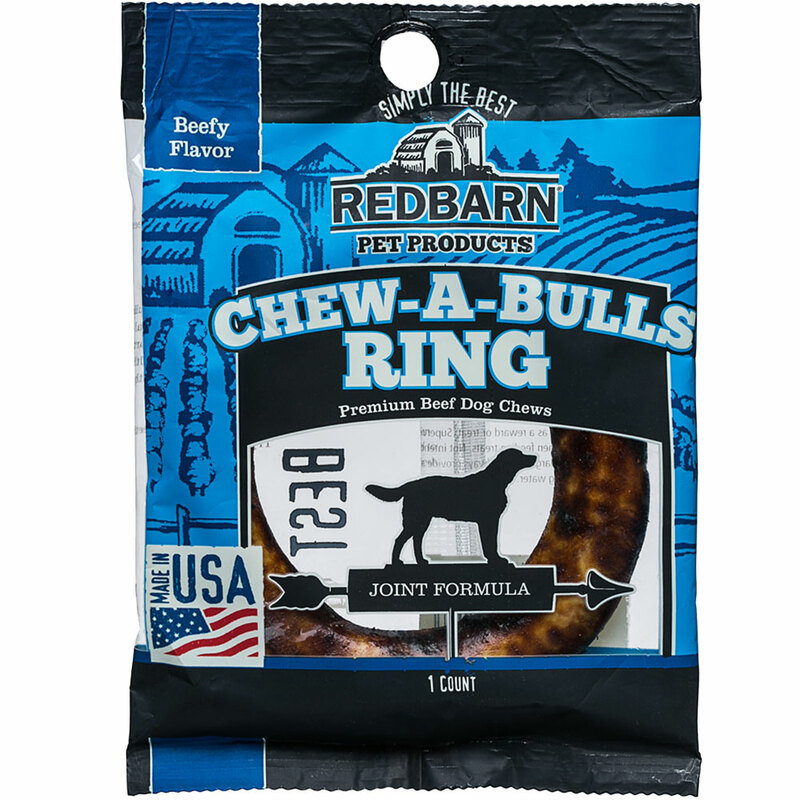 Redbarn Chew-A-Bulls Ring is a uniquely shaped chew made with ground bully sticks. The texture will clean your dog's teeth with each chew, removing plaque and tartar buildup in a tasty and fun way. Not only does this chewable ring promote dental health, but also provides support to joint, skin and coat health with the added chicken cartilage. 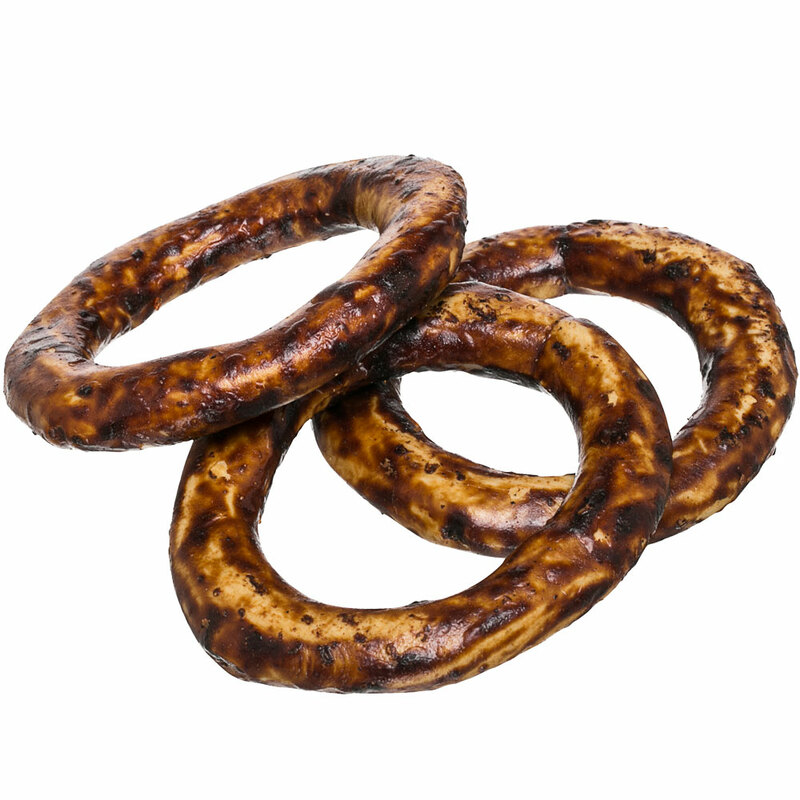 Your canine will have hours of fun chewing on this beneficial treat! 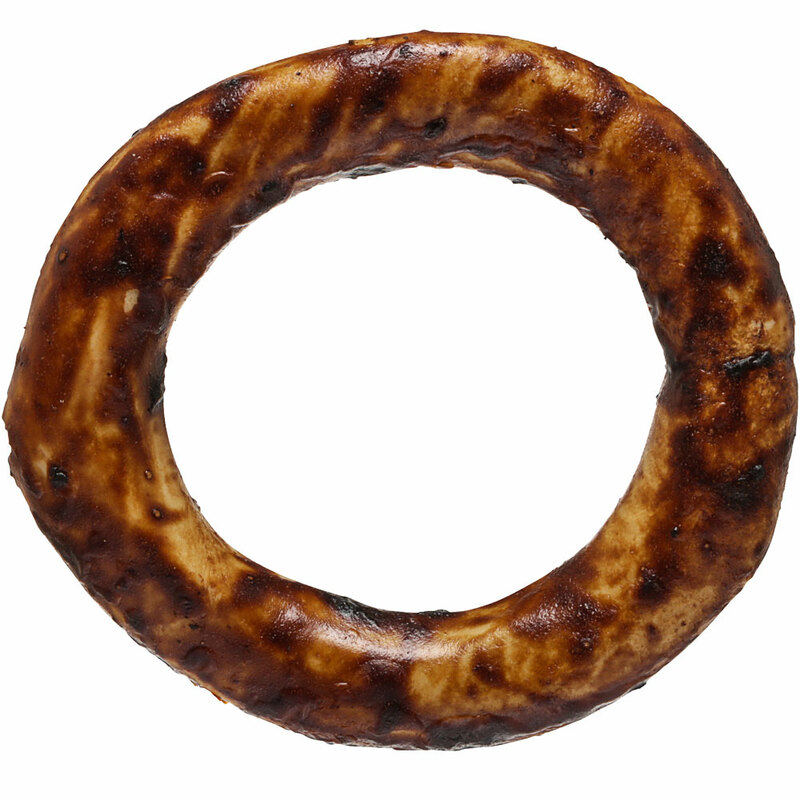 Potato Starch, Beef Liver, Vegetable Glycerin, Food Starch, Beef Pizzle, Chicken Meal, Egg White, Cellulose, Sorbitol, Caramel Color, Fructose, Lecithin, Sorbic Acid (A Preservative), Sodium Bicarbonate, Chicken Fat (Preserved With Mixed Tocopherols), Chicken Cartilage, Dried Cranberries, Salmon Oil, Dried Blueberries, Titanium Dioxide Color, Ascorbic Acid (Source Of Vitamin C), Vitamin E Supplement. Monitor your pet while feeding treats and give in limited quantity if your pet is not used to this treat. Do not allow your pet to swallow large pieces and discard any pieces that could be swallowed by your pet, as pieces could cause choking, stomach upset, or blockage. Chewing a hard chew could damage a pet’s teeth. Recommended treat size is slightly larger than your pet’s mouth. Feeding on upholstery or carpeting is not recommended. Always provide a fresh supply of drinking water.